or Facebook. Guild Perfumers, Associates and Suppliers can post their announcements on the Guild Facebook page and reach over 1,000 members. To join the Guild, please visit this page. When The Natural Perfumers Guild re-opened on June 1, 2006, after a hiatus for restructuring and refocusing, Guild president Anya McCoy set forth goals for the future of the organization. As a trade association, there was a need to focus on specific objectives if the Guild was to reach the goals of accountability, responsiveness, action and decisiveness. These goals included building the international community of perfumers, associates, suppliers and friends, educating the public about the art of natural perfumery, creating and maintaining standards of professionalism, Internet promotion of the Guild's natural perfumers through high-visibility projects and being an organization that would lobby and work on legislative issues that impact natural perfumery. There are many benefits associated with being a Guild member and a selection of them are listed below. The goals of 2006 have been met and new ones are being developed for the future of natural perfumery. 1. Immediate: This includes discounts on products; group buys; liability insurance; educational courses; public projects on the Internet; being part of the community in a Yahoo chat group where Guild members share tips; social media promotions on Facebook and Twitter; and information and friendship via networking. 2. Long term: Educating the public via blogs, forums and presentations; special trade publications; self-regulation as a trade association to reduce government interference. Guild perfumers, associates and suppliers offer discounts on raw materials including pure and natural aromatics and beach-harvested ambergris, perfumes, educational programs, books, distillation units and much more. The members can often recoup their membership fee with a few buys from other members. The Guild maintains a ‘log in’ page where a member can access the discount information. We recommend that members investigate insurance with Handmade Insurance. Anya collected PDFs of many vintage perfumery books over the years, and they are available to all Guild members. You can ‘log in’ and download the books as soon as you join the Guild. We hosted a group buy for bottles for our perfumers, associates and friends. We procured bottles that are often sold in case lots with high minimums. Most perfumers with a small business can’t afford, or don’t need, 300 to 900 bottles in one buy. By polling members who viewed the bottle photos on the Guild yahoo group, several cases of were obtained and distributed to Guild members. Future buys may be conducted if there is a demand. Pictured: the bottles selected by Guild members. Shortly before the Guild officially opened, a group buy was initiated by Anya for the perfumers on naturalperfumery.com These aromatics are often out of the price range budgeted for small businesses, but the group buys means they can be purchased and distributed in smaller amounts. Anya McCoy hosted group buys for two of the rarest, most beautiful aromatics in the world, and Guild members received them at very reasonable prices. 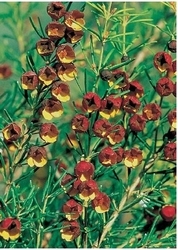 Boronia from Tasmania has been in very short supply for years due to lack of care of the fields from the previous owners. Anya phoned the new owners and was able to supply several hundred grams of the precious floral absolute for the Guild, as the owners weren’t selling to individuals at that time. Mysore White sandalwood was another Guild buy that brought a rare aromatic into the perfume studios of Guild members at a price that was lower than any other offered on the Internet. Allured Books, Guild Supplier, has been very generous with providing 3-volumes of Steffen Arctander's best-selling books, Perfume and Flavor Chemicals (Aroma Chemicals Vol 1 & 2) and Perfume and Flavor Materials of Natural Origin CD to members in several random-draw giveaways. This CD has been valued at $900, and is a valuable research resource for perfumers. Allured also provide deep discounts on their vast library of perfumery and cosmetics books to Guild members. 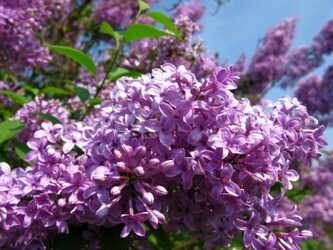 The Guild maintains a Yahoo chat group where members can interact by asking questions pertaining to natural perfumery, posting notices of sales and special events, and generally networking with each other, which guilds the community. Many fulfilling friendships have been formed by Guild members in this forum, and helping other members on the path is a lovely outcome of this group, so it may also be called a long-term benefit. The Guild’s Facebook page has over 3,000 members and promotes the Guild member’s sales, launches and other promotional materials on a daily basis. Guild members “like” the page, and they can post their ads and announcements, and it is sent to the Guild Twitter account. These pages are then picked up by Google, helping provide links to the member’s websites. In addition, when a Guild member posts to Facebook, Guild President Anya will “share” that post to her readers, and with the Guild page, that can result in over 3,000 views. Anya has assisted many Guild members to get on Facebook to improve the visibility of their businesses. When a post is shared on the Facebook page, it is shared on Twitter,where the Guild has 1,500 members. On the Guild website, members are linked from two pages, the Member’s List page and the respective page for their category of membership: Perfumer, Associate or Supplier. Links are also provided from the President’s blog, which also functions as the Guild’s blog. Both the member’s website and blog are linked. Guild President Anya McCoy was present at the birth of perfume blogs on the Internet in the Spring of 2005. She has taken part in countless chats, forums and blog postings. Over time, and with persistence, the outreach effort to educate bloggers and blog readers as to the beauty of natural perfumes began to take hold. Guild perfumers were encouraged to offer samples from their websites, start blogging and let themselves be known to the larger perfume community. The result? Many perfumistas who had previously dismissed natural perfumes as “medicinal, poorly-blended health-food store” perfumes, said, after sampling the professional perfumer’s perfumes that they now made a decision to buy a perfume on “whether it smelled good to them”. This was a huge leap forward in the public acceptance of natural perfumes, as they were now being judged alongside established perfume houses, and no longer being dismissed perfumes. For more on this, see the Mystery of Musk and the Outlaw Perfume projects, below. On another public front, Anya McCoy began blogging about the industry and government forces in 2006, and gained the attention of perfume industry representatives and perfume lovers, who realized that her common sense approach to the sometimes Draconian and illogical constraints that were being put upon perfumers, e.g., the limits on using jasmine and rose and other aromatics. The Guild contributes to an industry fund that pays for an attorney/lobbyist in Washington, D.C., who is working to challenge the Safe Cosmetics Act, which is problematic to our work with natural aromatics. Anya McCoy and Steve Earl authored a white paper defining natural perfume in response to a USA-based corporation who was promoting their version, which is that natural perfumes can contain a percentage of synthetic aromachemicals. The Guild rejects that definition, and this paper is one aspect of the Guild's role in protecting the art of natural perfumery. Robert Tisserand, Anya McCoy and Tony Burfield wrote this primer to educate the Guild members and the general public as to the dangers of the IFRA/EU association. A USA-based natural products corporation stated that they were going to define what natural perfume was, and they declared that it could contain a percentage of synthetic aromatics. The Guild took a stand against allowing synthetics in natural perfume and Anya McCoy, Steve Earl (Associate) and Tony Burfield (Associate) collaborated and produced a white paper on the definition of a natural perfume, published on June 1, 2008, the second anniversary of the Guild. Backstory: Guild perfumer Ambrosia Jones blogged about the ways that natural perfumers use varied aromatics in their quest for a cruelty-free musk note in perfumes. Another Guild perfumer, AbdesSalaam, wrote to Anya McCoy and suggested that there be a competition among the Guild perfumers that could be judged on Internet blogs in the search for a beautiful musk perfume. Feeling that perfumers would be shy about a competition, especially since many weren’t already active on the Internet blogs, McCoy instead proposed and named the Mystery of Musk project as a good way to give the Guild perfumers publicity and have a lot of fun making a musk perfume. The project was a huge success, and as one blogger wrote: “Who knew there were so many talented natural perfumers out there?” This project, and the Outlaw Perfume project were linked to bloggers who were reviewing the perfumes, and also to the perfumer's websites and blogs. 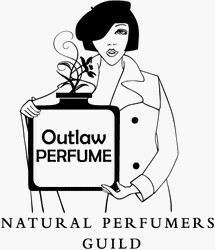 Outlaw Perfume was the second project of the Guild perfumers, based on Anya McCoy’s deep-felt opposition to the bad science that had steered the International Fragrance Association (IFRA) to adopt guidelines that severely restricted the use of natural perfume aromatics that at the worst, could cause a rash or sneezing. Rose, jasmine and hundreds of other common aromatics were then limited to a tiny percentage of a perfume. Many classic perfumes were reformulated by perfume houses that were afraid to challenge IFRA. Anya came up with a simple, elegant solution: a label. If peanuts, which can kill, can be sold, why not just a label starting the ingredients in the perfume and the fact that, if, you get a rash, stop using it. This project was a sensation on the Internet, bringing well-earned attention to the perfumers in the Guild who declared themselves Outlaw Perfumers, willing to place a label on their perfumes. It’s still secret for now, but is another project looking towards educating the public as to the beauty of natural aromatics and taking a bold step towards furthering the theme of Outlaw Perfume. 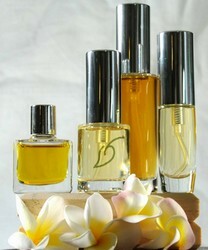 Fourteen perfumers will be taking part in the project, due to launch October 1, 2011. The Guild standards of professionalism and quality are comprehensive and firm when it comes to raw materials, such as essential oils, absolutes and other perfumery ingredients, packaging, message and first and foremost, the quality of the perfumes of the professional perfumer members. By the end of 2011, the Guild published industry standards in place to protect the interests of Guild business owners by defining and adopting standards for all levels of Guild membership. Self-regulation is necessary so that a set of standards can be presented to the government to minimize their presence in our businesses. A committee will draft the documents needed to reach this goal, and they will be presented to the Guild members for their feedback. The International Nomenclature of Cosmetic Ingredients (INCI) is a worldwide standard for listing ingredients on cosmetics, which includes perfumes. To help assure the customer that the ingredients are pure and natural, organic, wildcrafted, etc., and INCI label is a must. The government will also demand an INCI label on your products. A template for Guild perfumers and associates to use for their fragranced products is available. Guild members submit samples and full-size bottles and packages of their products to the Scent Library, which is catalogued and maintained by Guild President Anya McCoy. This is both a historic and pragmatic collection of items from perfumes to soaps to rare pieces of ambergris, and shows the diversity of products, packaging and beauty of offerings from the Guild members. Anya can refer to the Scent Library when a journalist contacts the Guild about products and provide descriptions, photos or other materials as necessary. To receive these benefits, you may join the Guild by visiting this page.